'Boys and their Toys' but Adults love a Toy Fair! ‘Boys and their Toys’ but Adults love a Toy Fair! My name is Neil Bennett and I absolutely love party bag toys – that felt like a confession but it’s true! Although some parents loathe them – why? Simple reason, parents have forgotten what it is like to be a child! Quite frankly, a party is not a party without a party bag. It can be a very competitive world and a headache for parents when sourcing the contents. As some children, think this is the best part of getting invited to a party. It starts with the anticipation of what will be in there and because every parent has a different budget, idea, and theme and there are no toys on the block, all the time, so no two party bags are the same. This is where Benjo Bags comes in – click here! Yes, the standard party bag contents are low-cost toys and fillers but parents have forgotten that some of those low-cost toys can give a child hours of fun and enjoyment and keeps them off their electronic devices. 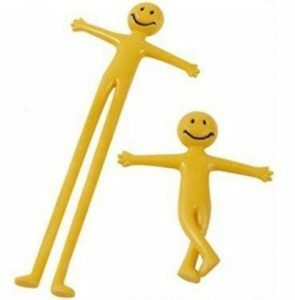 Take last year’s best-selling pocket money toy, a small ‘Yellow Stretchy Man’. This is a million miles away from the children’s generation of iPad and on-demand TV, or games consoles but he is well loved for just being able to stretch. How do I apply this to my business? I take the view in my customer meetings to not focus solely on the toys when we discuss our party bags. As long as the toys are rotated and kept current, then you cannot go wrong. The beauty of Benjo Bags is we can provide our customers with this rotated, fresh stock. We can normally tailor the party bags to meet our customer’s budgets by using differently costed toys/fillers. With three children, myself, aged 3, 7 and 10 years old, I have the perfect honest market researchers on hand. All our toys are given the “Benjo brood” seal of approval by my children. Remember what they think is cool is completely different to what a parent will think is cool……! So where do I get my inspiration for Benjo Bags and stay current? 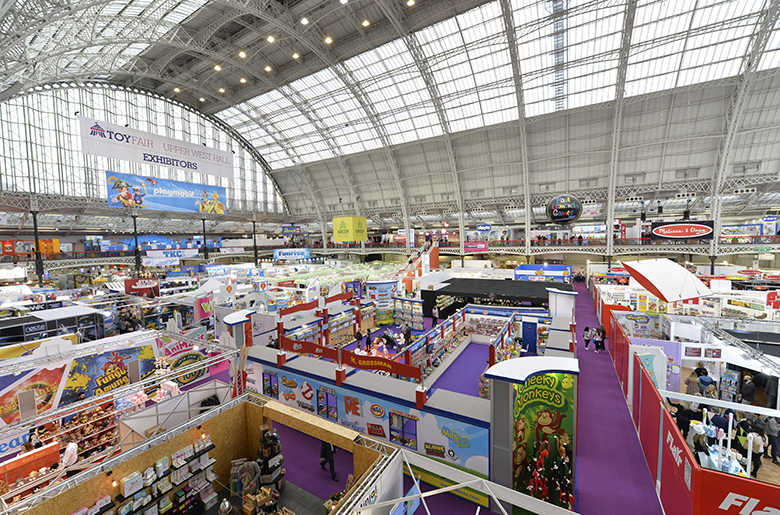 The Toy Fair is great for my inspiration and after all, we’ve all heard of ‘Boys and their Toys’ but Adults love a Toy Fair! It’s the chance to be a big kid again! Although some of the toys are not for party bags it gives a guide to what‘s new in the market and what will be the next big thing. ‘Boys and their Toys’ but Adults love a Toy Fair! After all, these trends will always filter into the party bags in time and Benjo Bags pride ourselves in being the UK’s No. 1 branded party bag provider and at the top of our game. Let me know if you are also attending and we can meet for a coffee! Should Staff Be Preparing Party Bags?